At Grayson Pro-Tech, we provide custom designed alarm and surveillance systems for small and large businesses in Burleson, TX. Enjoy peace of mind with business security solutions that protect your assets, employees and customers. "Goodwill Industries of Northeast has a long-standing relationship with Grayson Pro-Tech." We love receiving referrals from our customers. 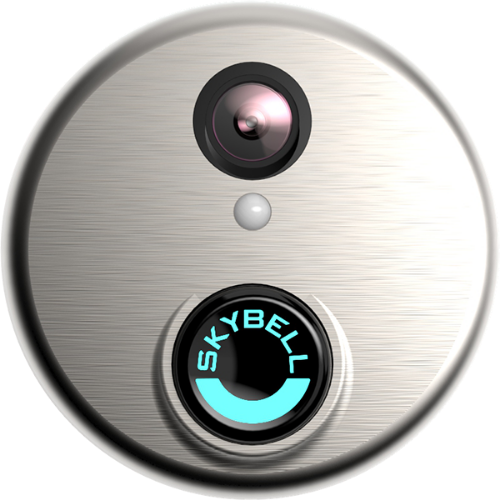 Refer a business partner or friend to Grayson Pro-Tech and you'll receive a free Wi-Fi Video Doorbell by SkyBell if they sign up! At Grayson Pro-Tech, we utilize both indoor and outdoor cameras. Camera options include analog, IP, or HD-TVI. Resolutions range from megapixel to HD. Protect your home or business with the latest recording devices. 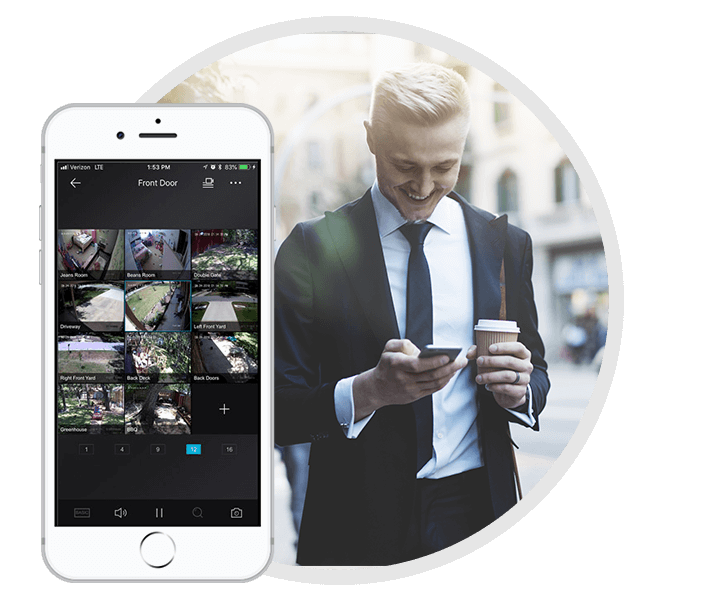 If an incident occurs, you’ll be able to give the footage to the authorities. With smartphone apps, you can view your surveillance cameras in real-time. Remote monitoring provides comfort no matter where you are. We pride ourselves on our customer service. Our highly-trained technicians in the Burleson area can install any one of our products at a fair price. When it comes to training, we take a “second-to-none” approach. Bottom line, our staff are experts in the field and can train any user to use our systems. We're here for you. When you call Grayson Pro-Tech, we'll make sure any issue you have is solved. Grayson Pro-Tech provides comprehensive video security and surveillance solutions to residents and business owners in Burleson, TX. Our trained technicians can install an alarm, DVR, and camera surveillance package that is sure to keep your property safe. If you have assets on your property that you need to protect, a surveillance system is a small investment that could help keep you safe. We can custom-install video security systems on your property, allowing you to monitor blind spots and weak points. This around-the-clock security can give you peace of mind knowing that you, your family, and your assets are safe. As a Burleson, TX business owner, there are certain parts of the business that you may not want your employees having access to. With our access control solutions, you can control who has access and when. This helps ensure that there is no unauthorized access to your place of business. Whether you need access control products to secure a single door, or hundreds of doors, we can provide the best solution for your location. We offer door access control equipment, card readers, access management software and all of the accessories needed to secure multiple entryways and exits at your business. Approximately 90% of burglars are untrained professionals who scare easily. Installing a surveillance system would go a long way toward protecting your home or business. 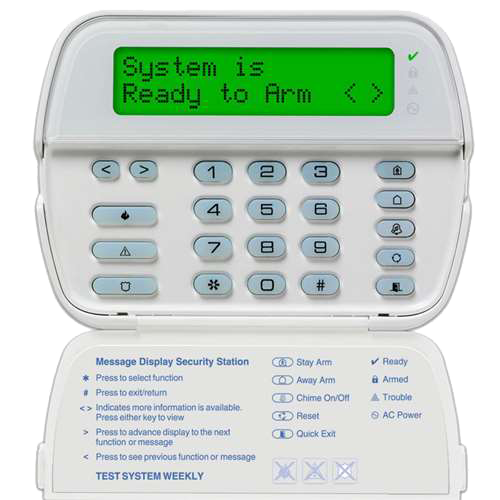 Although the alarm system can go hand in hand with your camera system, the alarm system is the most crucial tool for warding off intruders in the act. When they activate the alarm, most burglars will scare and run away. If this happens, the alarm proved successful in helping to protect your assets. Plus, you and the police will both receive notifications informing you of the potential break-in. With home automation from Grayson Pro-Tech, we’ll implement the latest smart home technology into your surveillance system. Our trained technicians can integrate all aspects of your system into one complete package. For example, you may not want your cameras to record 24/7, but only if an intruder triggers an alarm. With home automation, we can set these processes up so that they will run without you having to think about them. You can also choose when you’d like to set alarms automatically. Work a 9-5? Set the alarms for those hours, and they’ll turn on without you having to do anything. Although we pride ourselves on home security, we also specialize in data and fiber systems. Because our staff is so well-trained, they can install your data or fiber system at the same time as they install your surveillance system, making the process incredibly easy for you. Improving your data or fiber system can help you transmit your company’s information quickly and more securely. When it comes to protecting sensitive data, you can never be too safe. Securing the way in which you transport your data is a component that many businesses in Burleson, TX have found beneficial. No matter if you are protecting your family, personal property, or employees a fire alarm system that functions properly is one of the most important things you should have. Unfortunately, too many homes and businesses have fire alarm systems that do not work correctly. They often don’t realize that their systems are faulty until it is too late. Not only can Grayson Pro-Tech ensure your fire alarm system is working, but we can also install a state-of-the-art fire alarm system to keep your loved ones safe if a disaster were to strike. Call us today to speak to a live agent who can help provide you with the best security options. When dealing with our technicians, you can expect timely, personalized service. You’ll receive this as soon as we begin installing your new system. Before leaving, our team members will be sure to train you on all aspects of your new security system. You’ll learn how to operate every device. Once we have installed the new system, we do not stop supporting you there. You can call us anytime with questions, where a live agent will help walk you through your problem. At Grayson Pro-Tech, we let our name speak for itself. We focus on building relationships with our customers, providing unmatched customer service. No two surveillance systems are the same, which is why we focus on providing custom plans for our customers all throughout Burleson. Grayson Pro-Tech has been around since 1985, and our reputation has grown considerably over the years. We are the business you can trust. We have become part of the fabric of the local culture. Our owners grew up in the area, and are proud to help give back to the community.